If you are tired of repetitive work on the computer and want to paint diversity - this screensaver is for you! 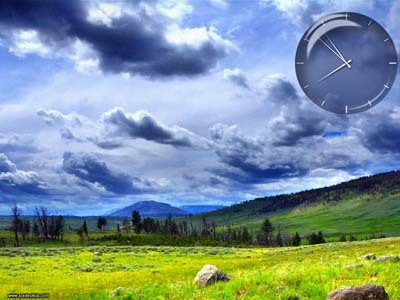 Realistic nature effects and animated analog clock will not leave you indifferent. Easy to install and small in size screensaver. Download it now absolutely free! Sim AQUARIUM brings the most realistic coral reef aquarium to your computer screen. Its stunning, photo-realistic graphics recreate the beauty of 3D fish swimming freely in a 3D environment, including reef, with live clams and swaying sea life. We hope you will like classic figures screensaver release. Find eye catching action on black background to save your screen and relax. Our version has a lot of variations of different parameters. Add a bit of magic to your screen! Feel the spirit of the natural freedom and ceaseless joy! Get into the heart of the mysterious forest where you can meet happy animals and fairy creatures! Download free Mysterious Forest screensaver! Medusa is a new free screensaver of nature from a collection of new free screensavers from http://www.newfreescreensavers.com. Clearly free screensavers. No spyware, no adware, viruses free. It's safe to install and run. Sphere is a new free screensaver from a collection of free screensavers from http://www.newfreescreensavers.com . No spyware, no adware, viruses free. It's safe to install and run.